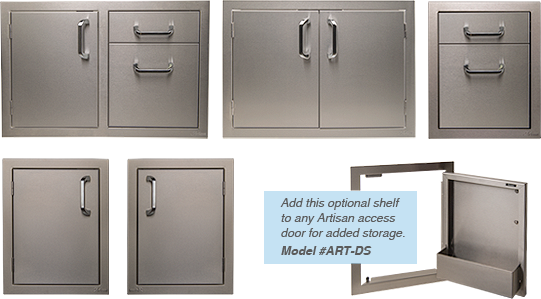 Artisan™'s single side burner is the perfect complement to your grill. Simple drop-in installation to your island, or use with a freestanding grill with the optional side shelf accessory. 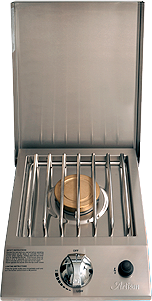 Features a brass burner with 15,000 BTUs of power, easy AA battery powered ignition, and a hinged stainless steel cover.